Let me introduce to you Pierre-Auguste Renoir, an artist that really got my attention after I read his life story. He started his artistic career when he was 13 years old. He was painting flowers on porcelain plates. He was very good at it and soon started studying art at a school. I encouraged them to draw flowers and talk about different ways to do that: small flowers all over the plate, pattern, detail, garden… I also showed them pictures of the plates Renoir did and then talked about his life… I told them that he was a friend with Claude Monet and they liked walking outside together and painting the same scene… that got one 5-year-old thinking about painting Monet’s garden onto the plate! Btw, I find this very inspiring: when Renoir was old, he had a very hard time painting. He had severe arthritis and holding a brush was very painful for him. But instead of giving up, he decided to tie the brush to his wrists and keep on working for many more years. I wish I had his dedication. 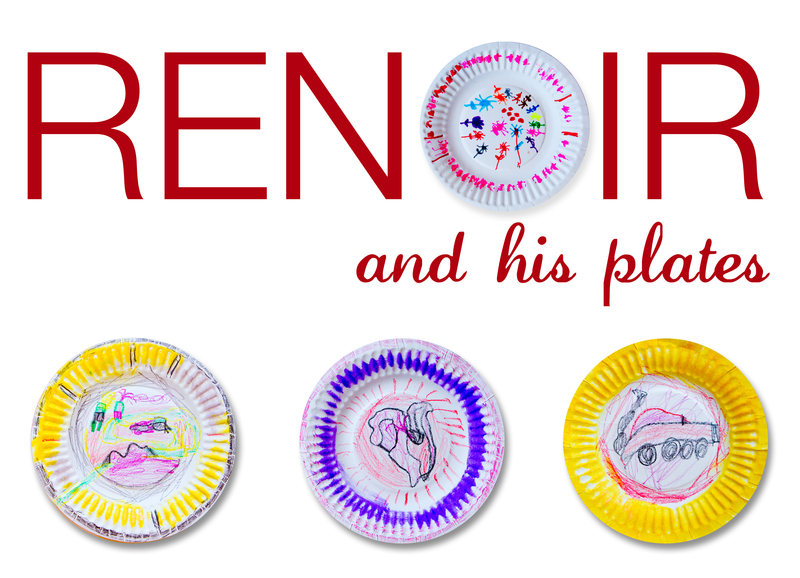 This entry was posted in Art Projects and tagged art, ArTree, craft, paper, plates, preschool, project, renoir. Bookmark the permalink. ← May the4th be with you!